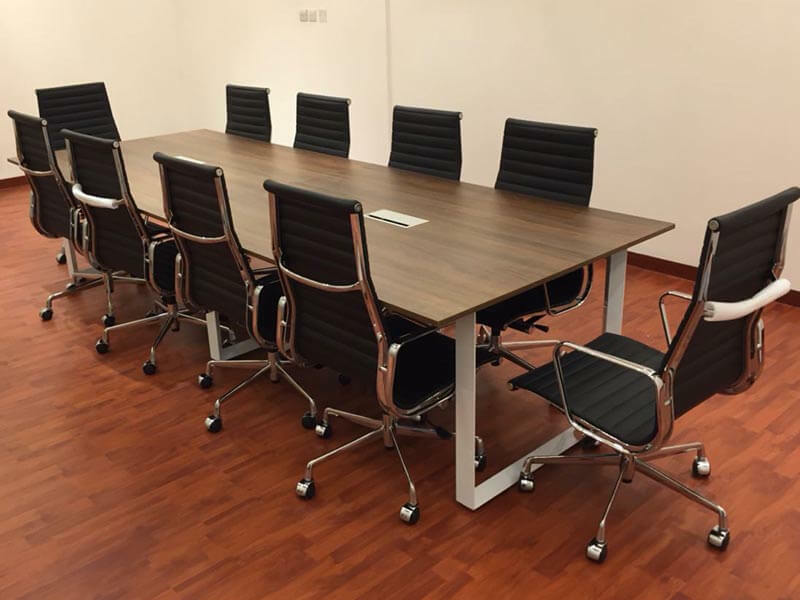 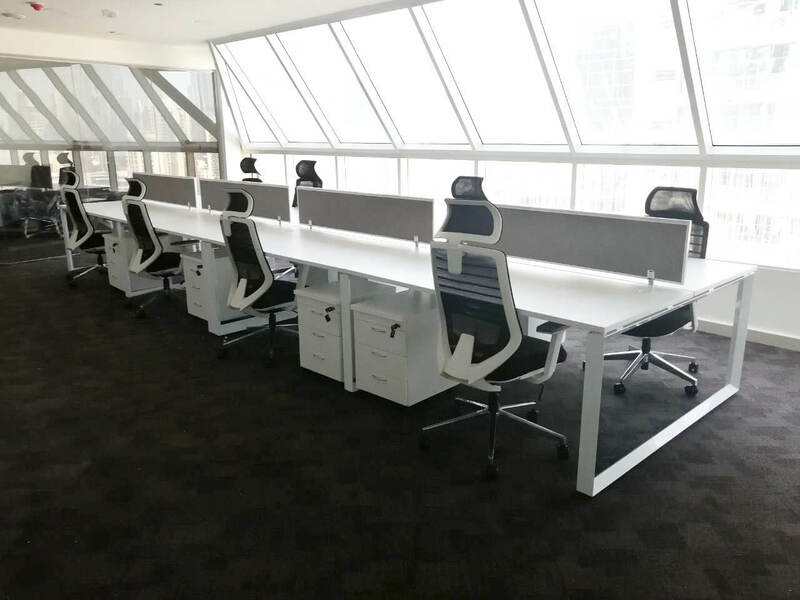 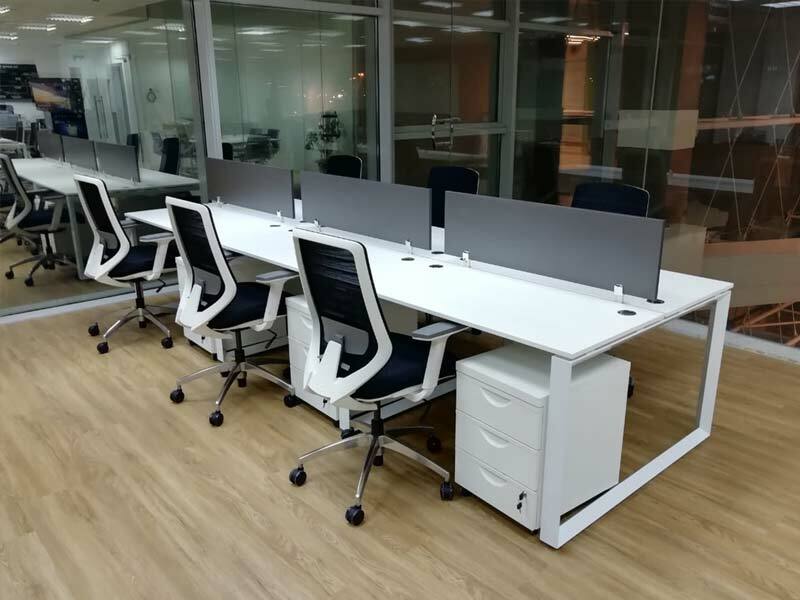 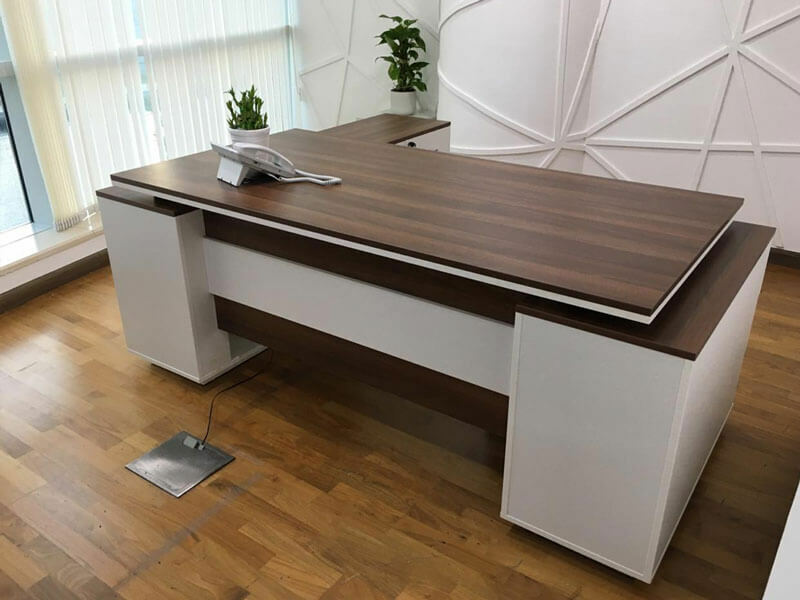 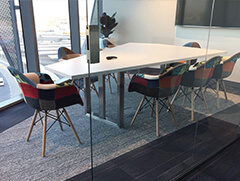 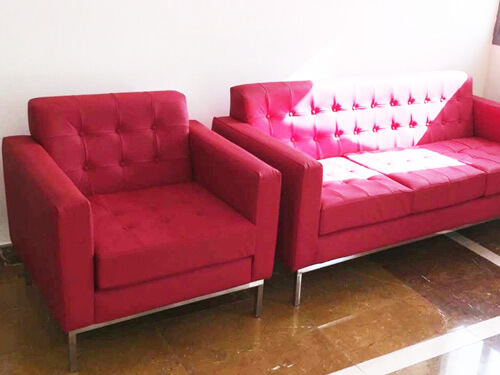 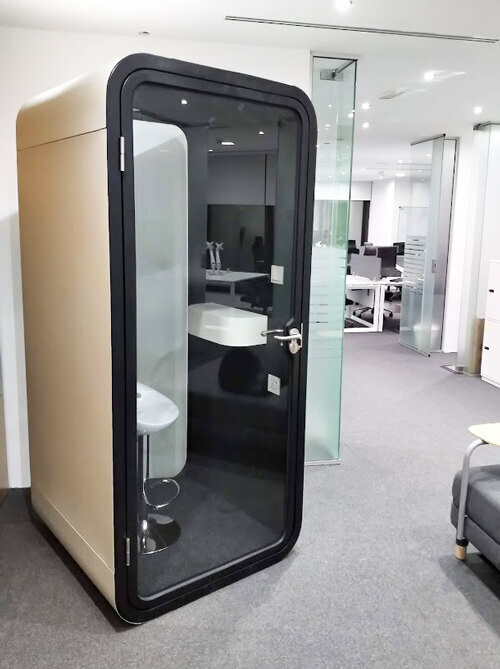 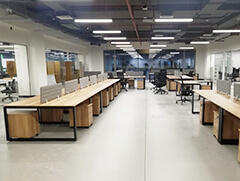 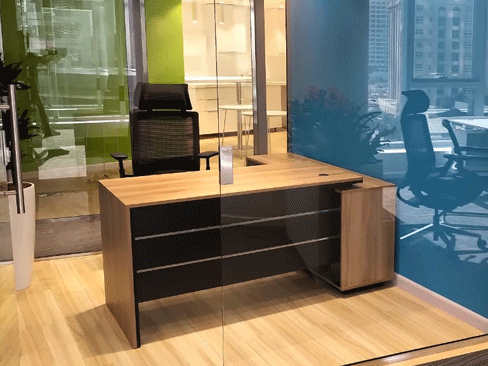 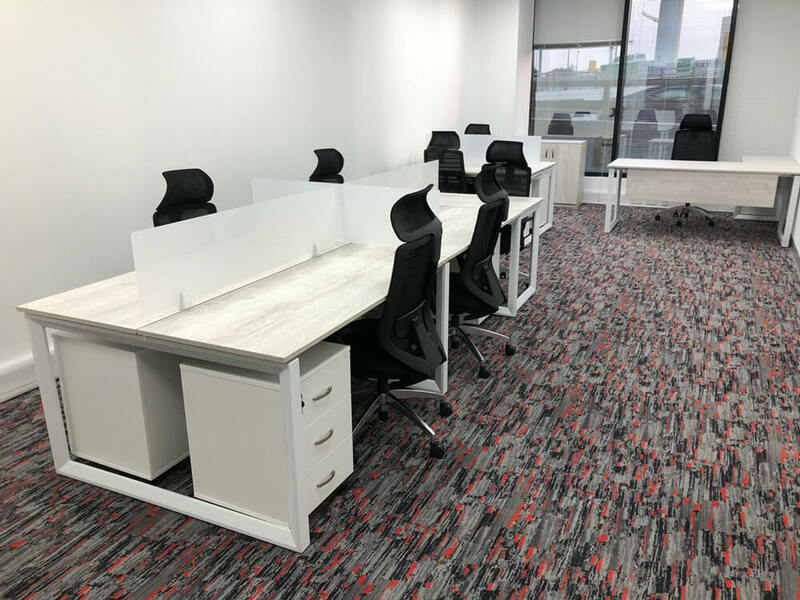 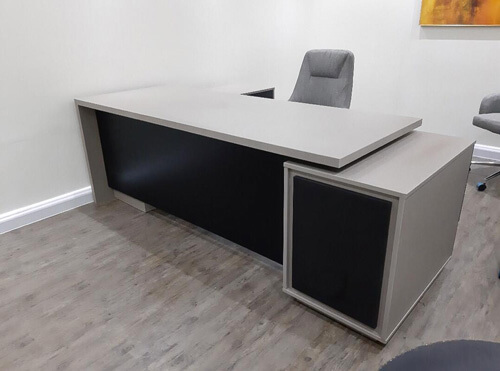 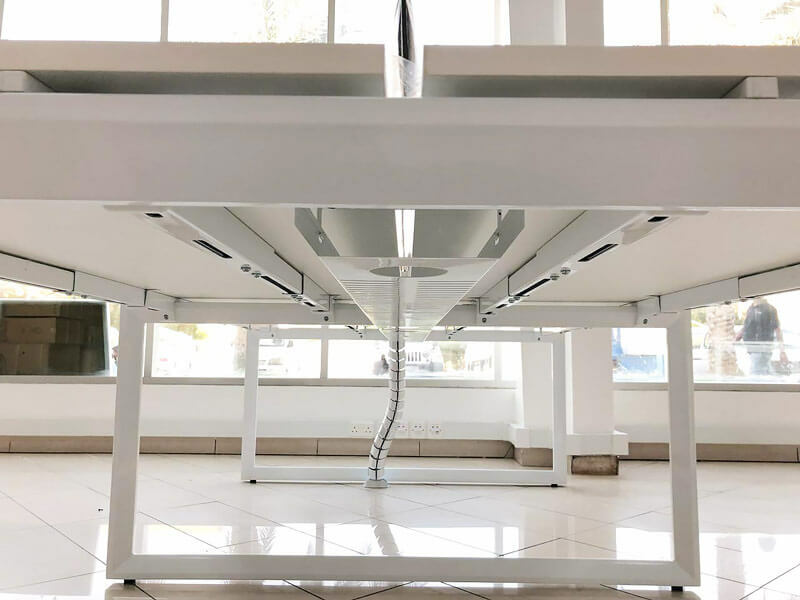 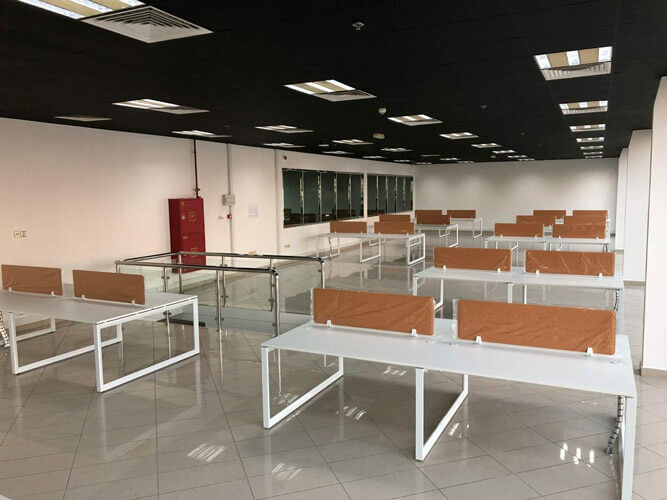 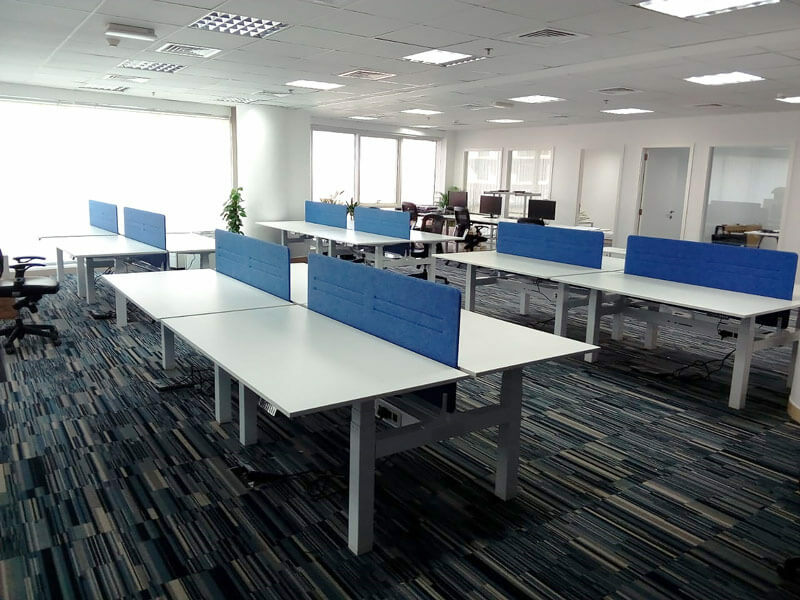 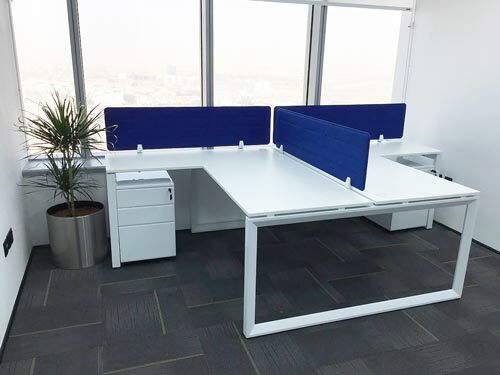 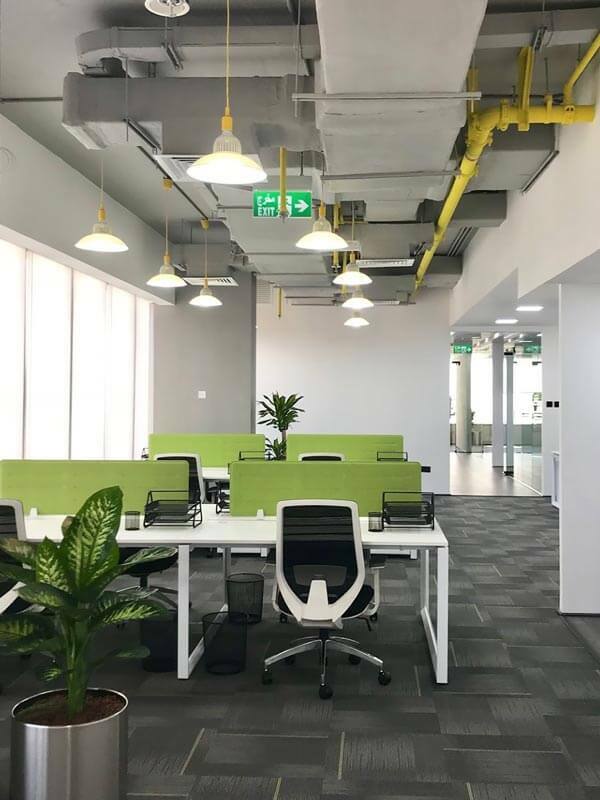 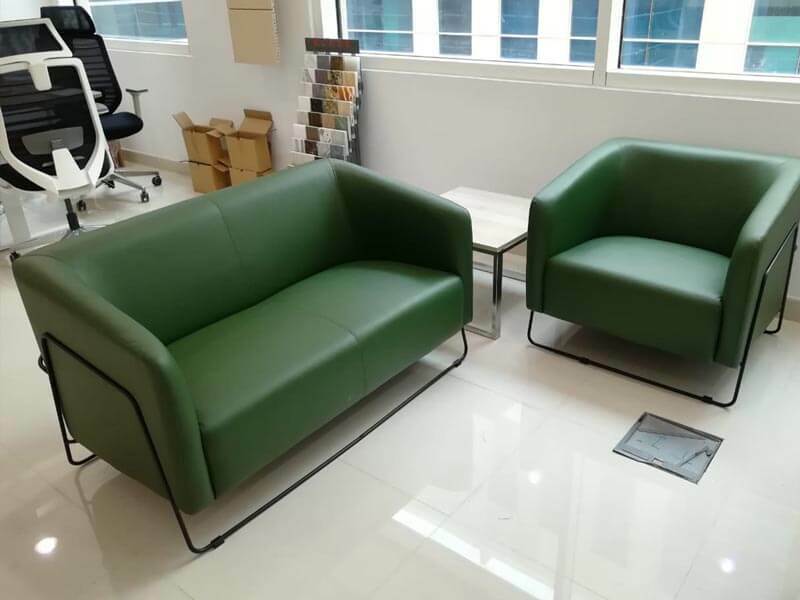 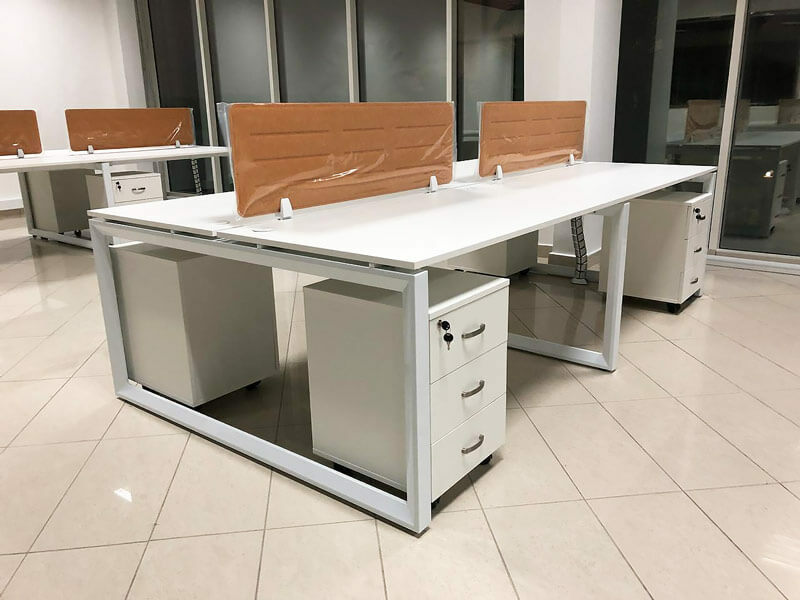 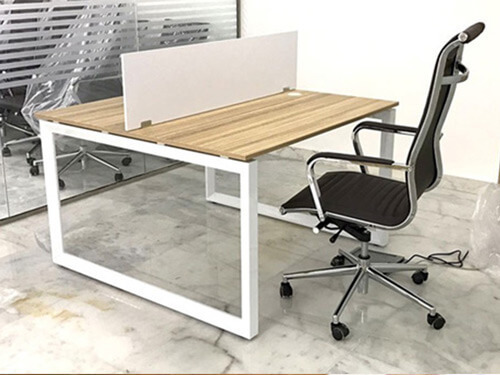 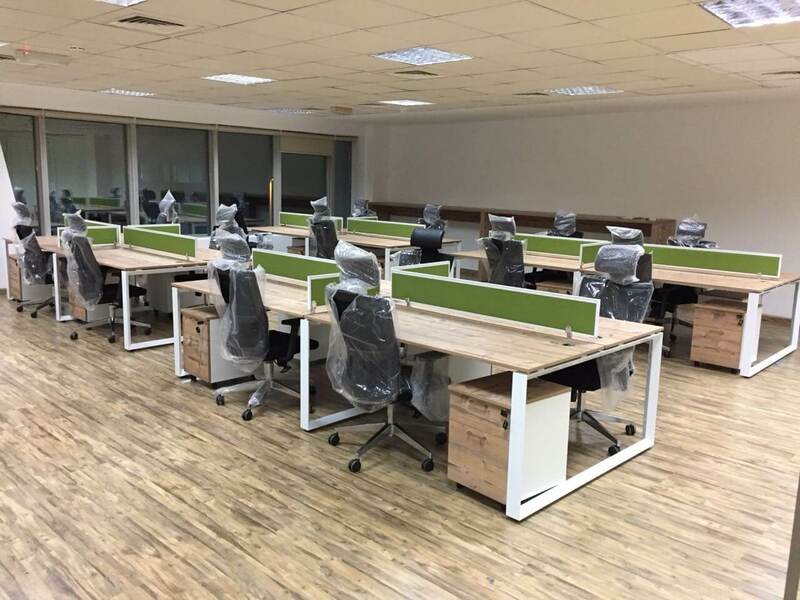 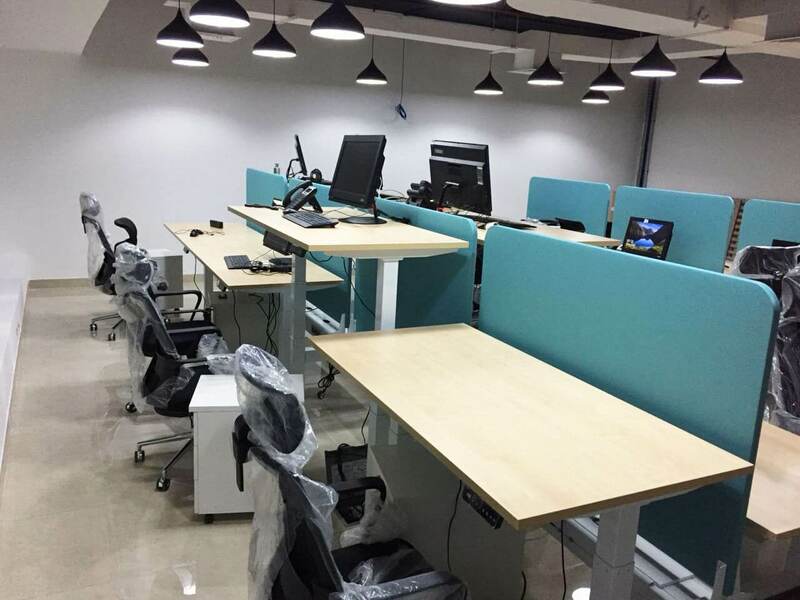 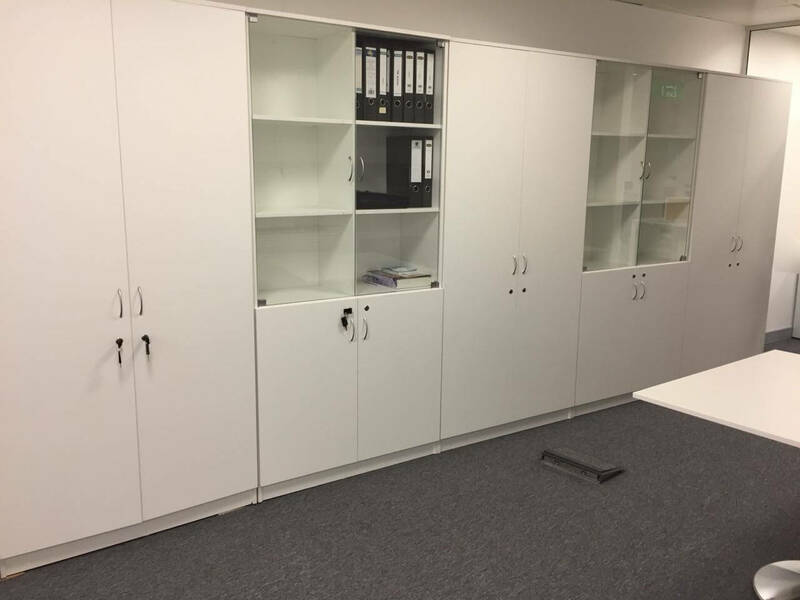 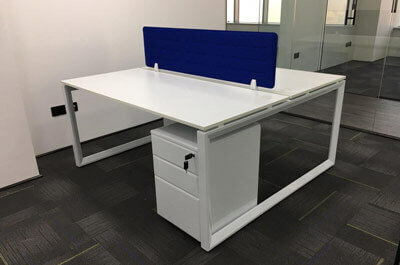 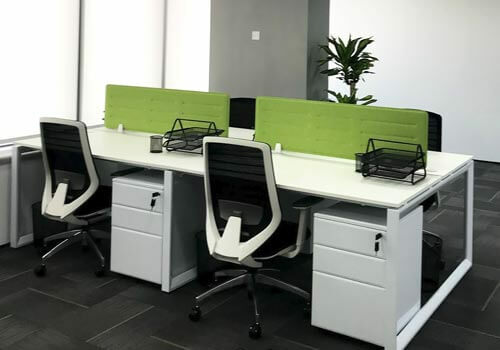 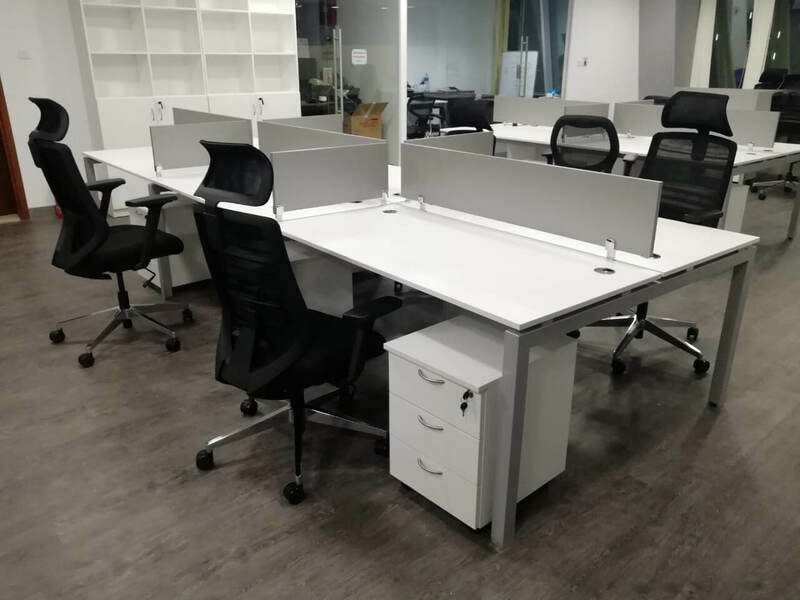 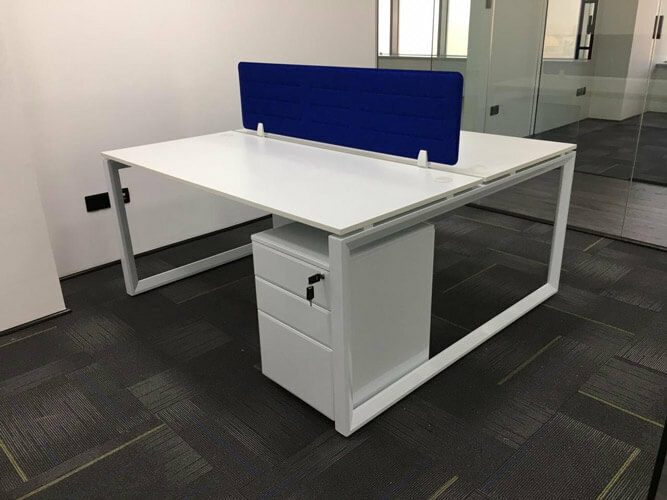 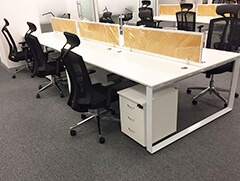 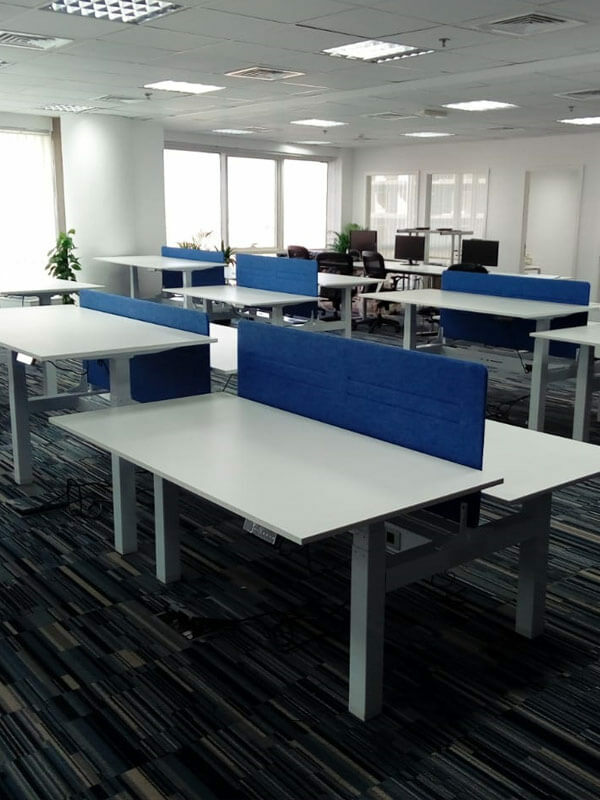 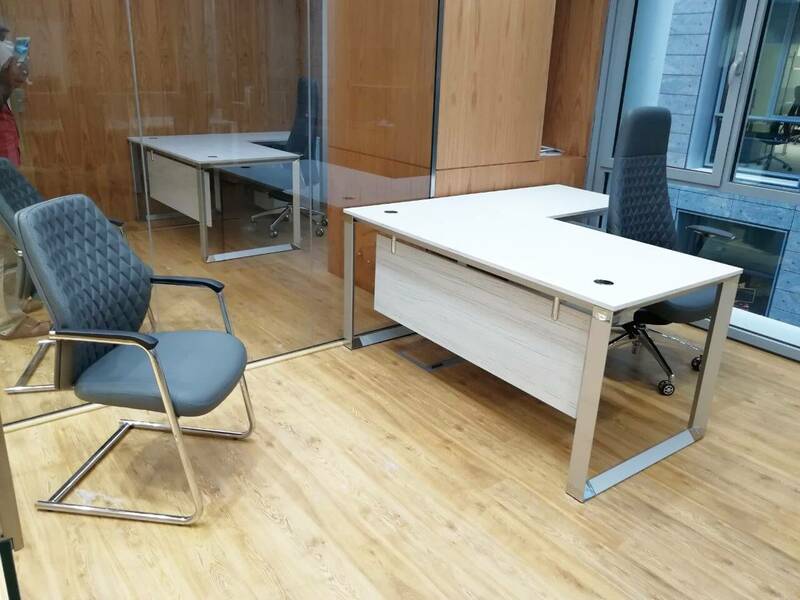 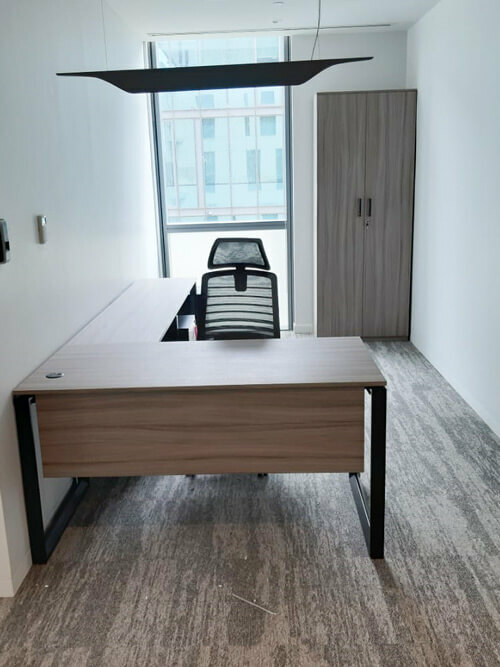 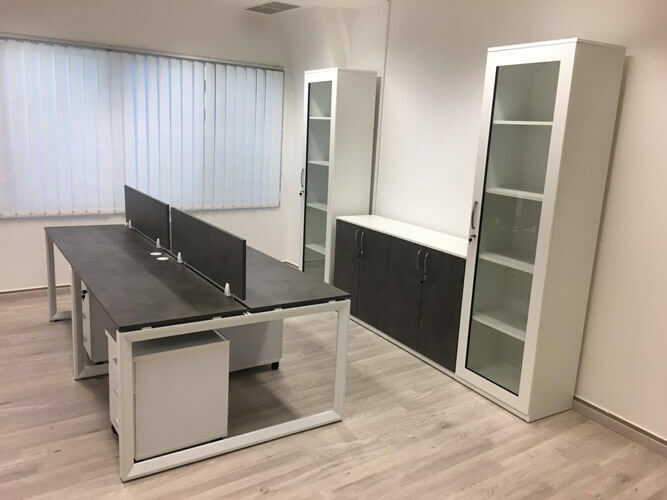 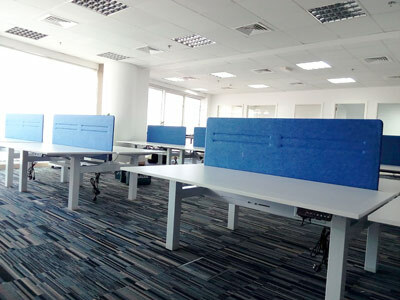 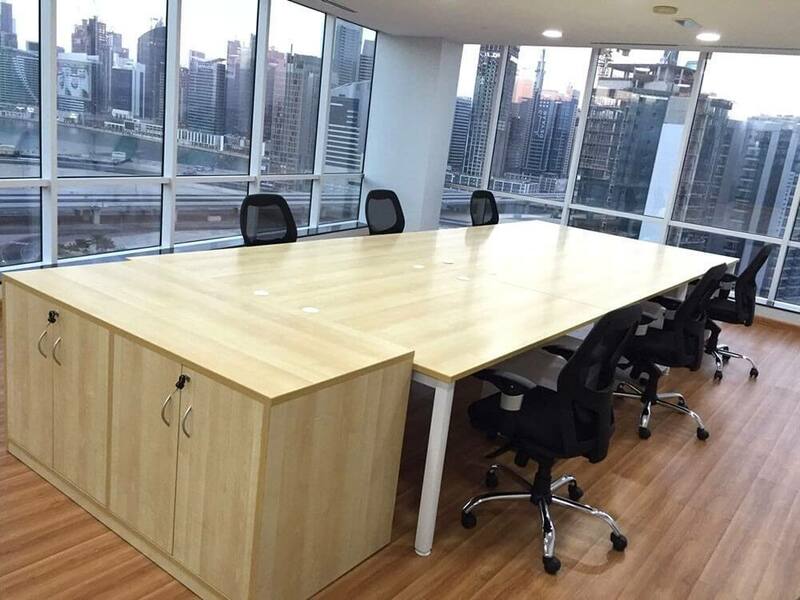 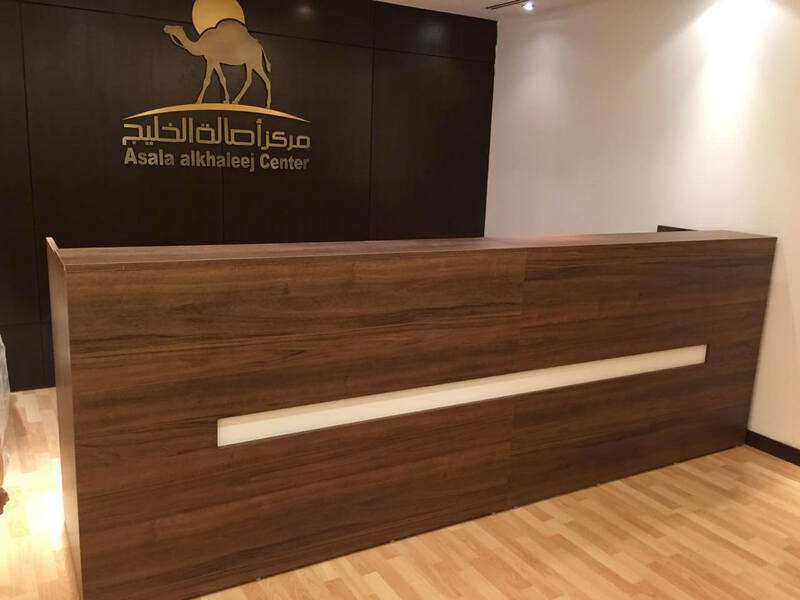 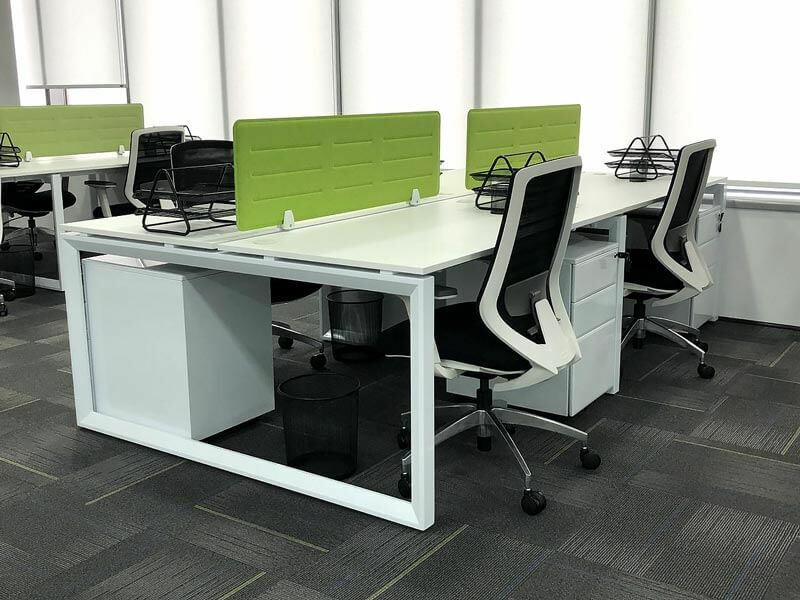 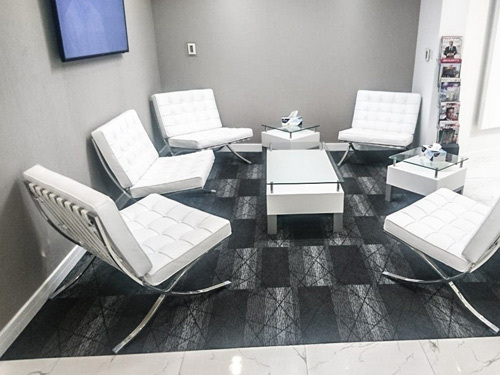 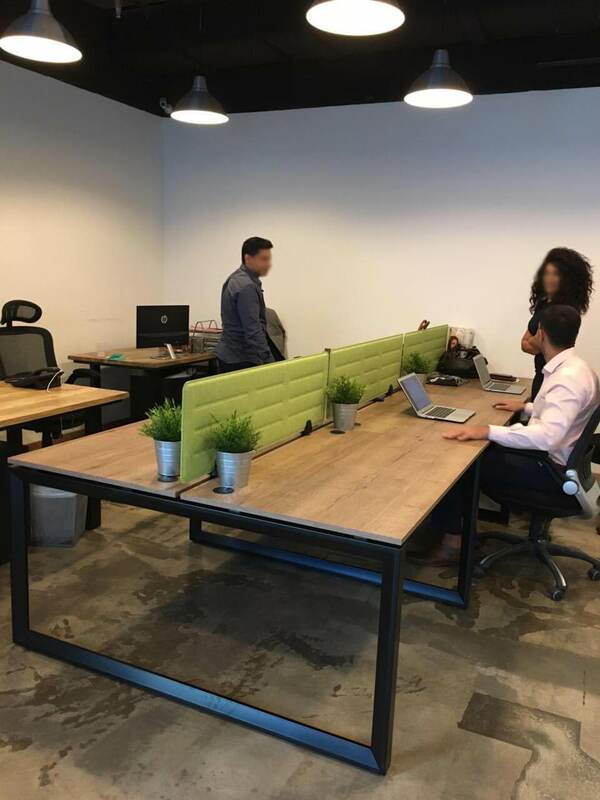 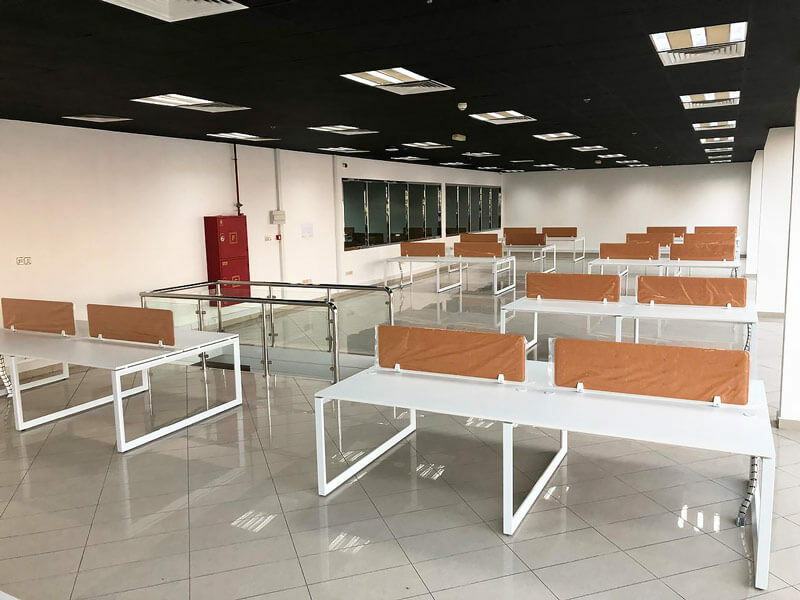 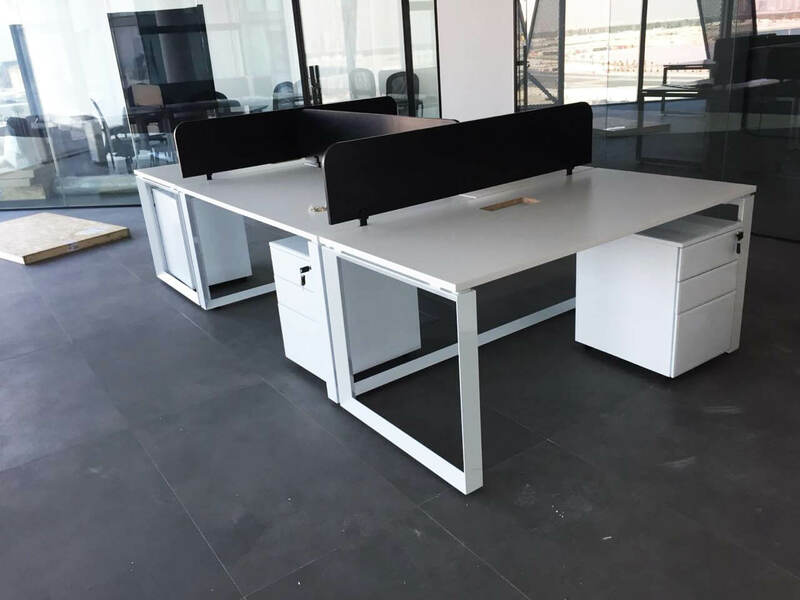 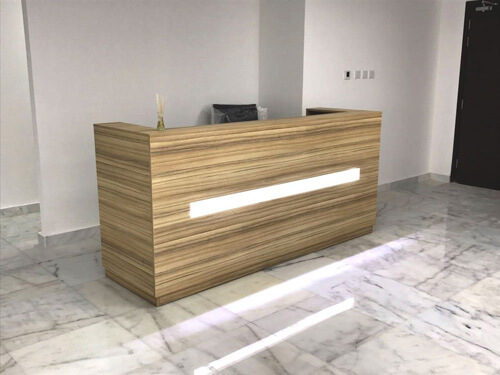 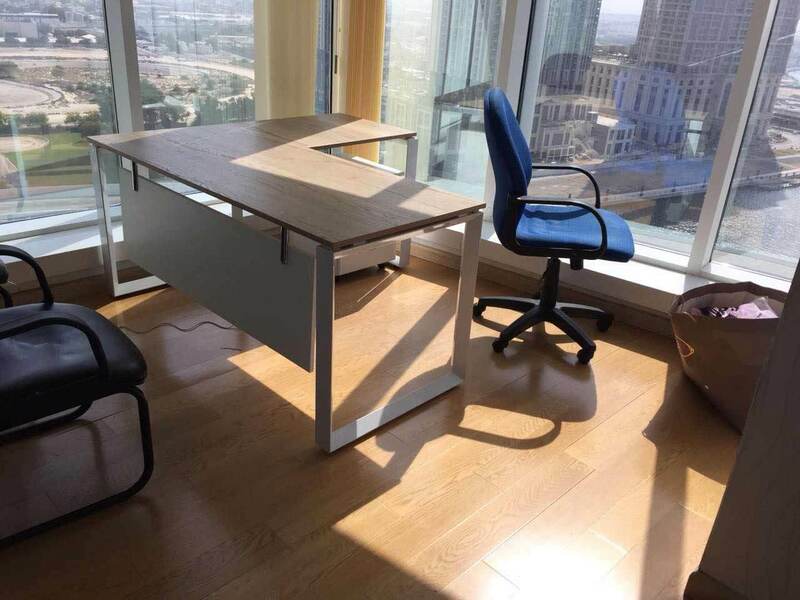 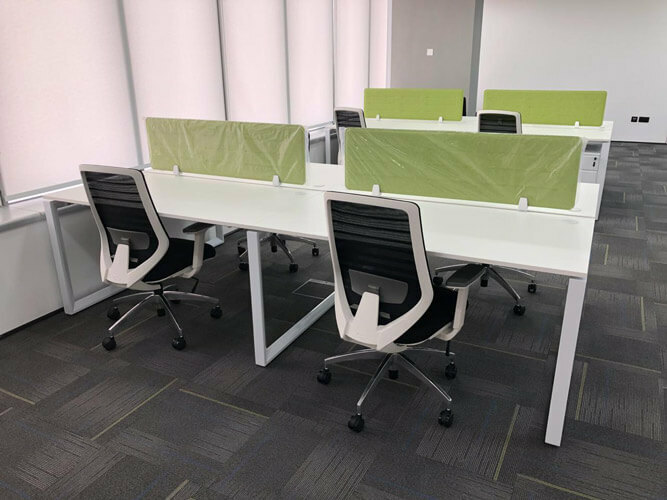 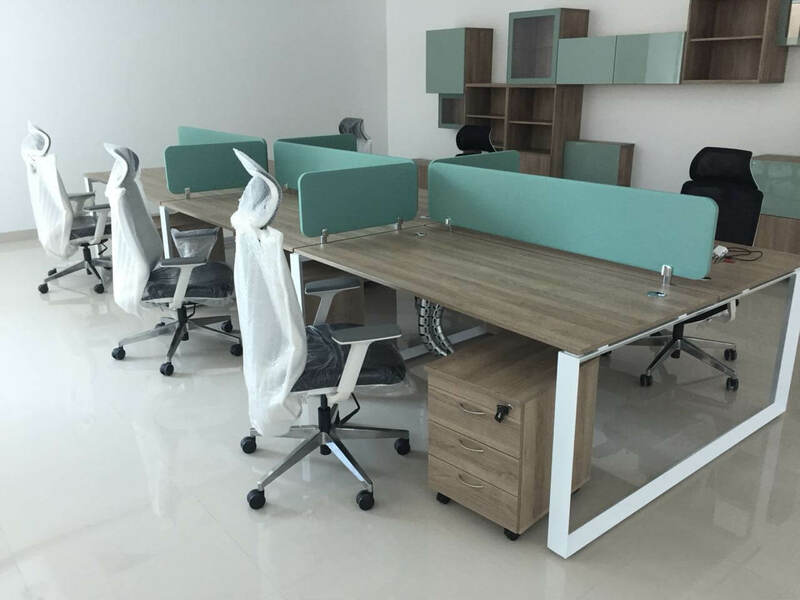 Full office furniture set, including customized filing cabinet (yellow background), purple acrylic screen panels, custom-made L-shape executive desks and purple color pierre chairs. 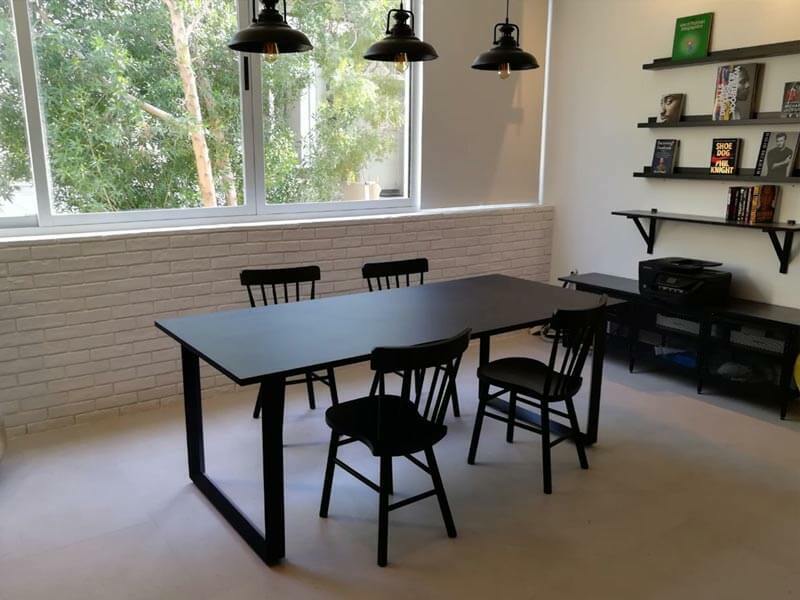 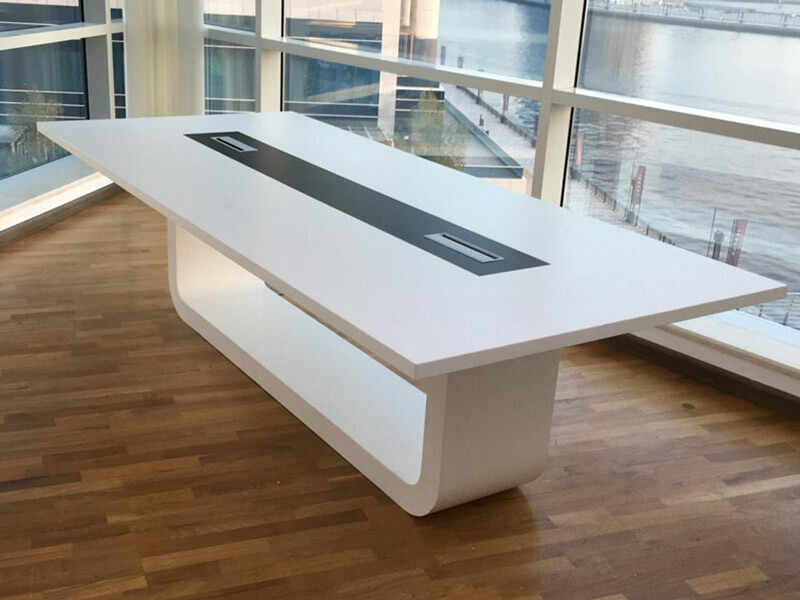 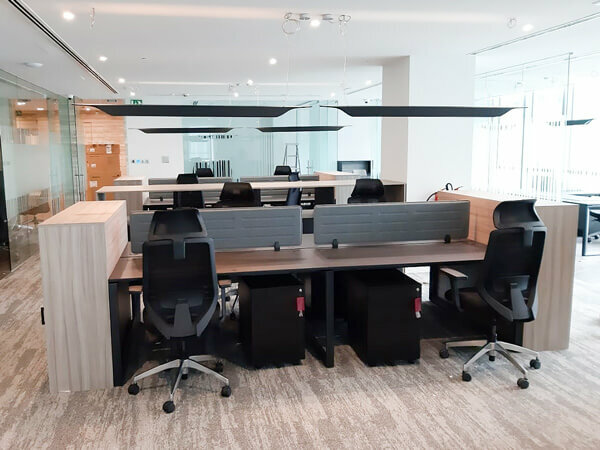 Custom-made with brushed steel frame meeting table, customized Panton chairs, white workstations with wooden frames for the staff area. 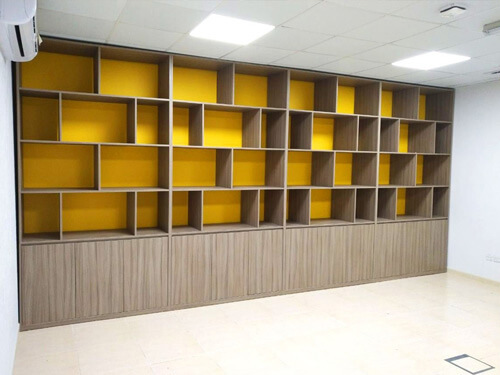 combination of cluster of 6x and 4x customized cabinet and storage area. 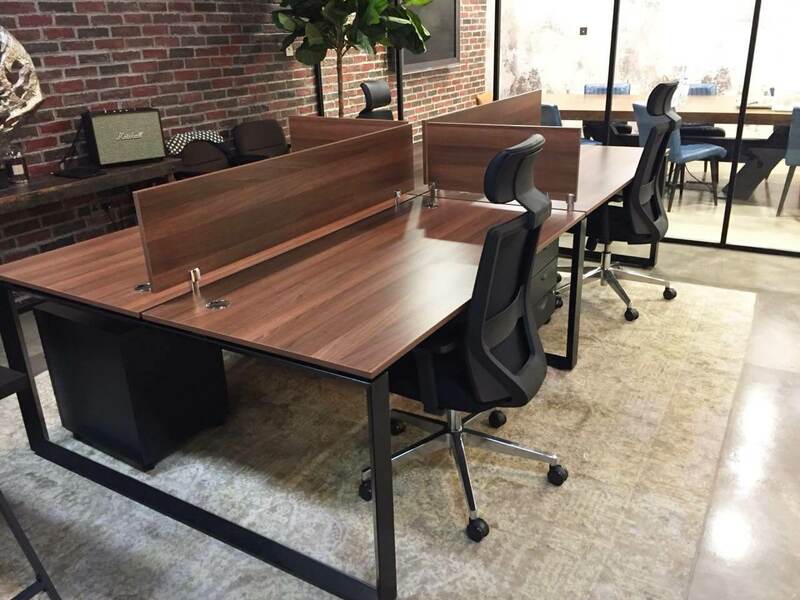 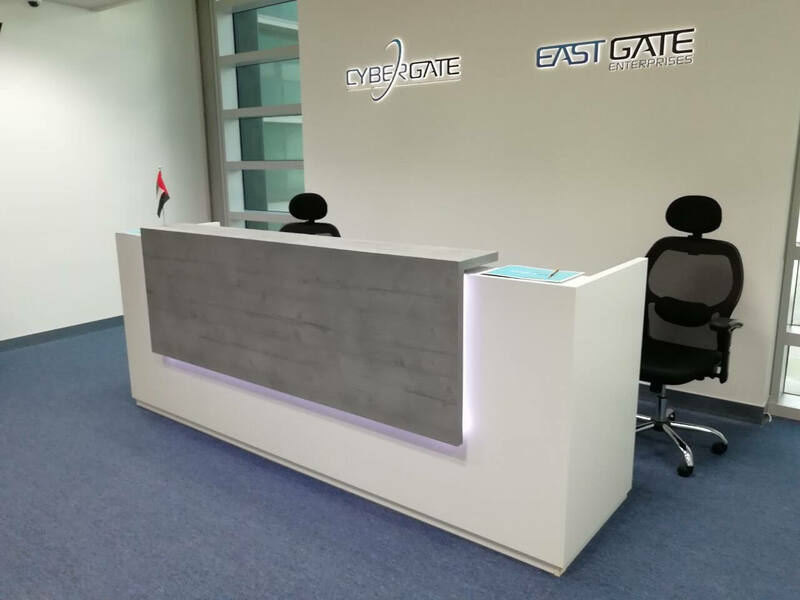 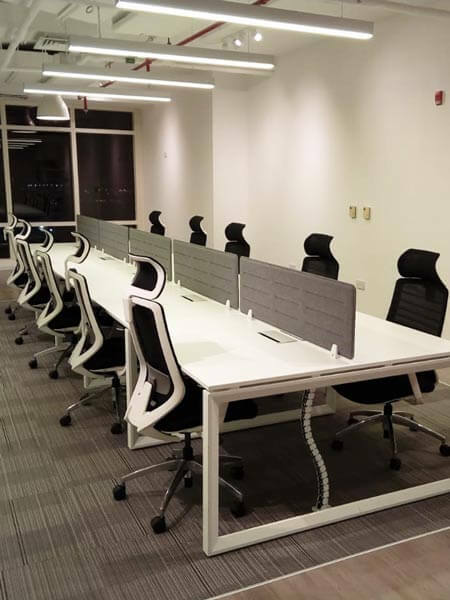 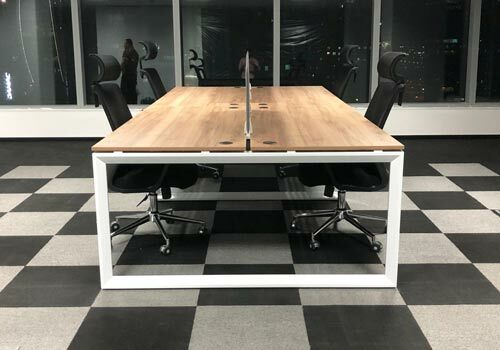 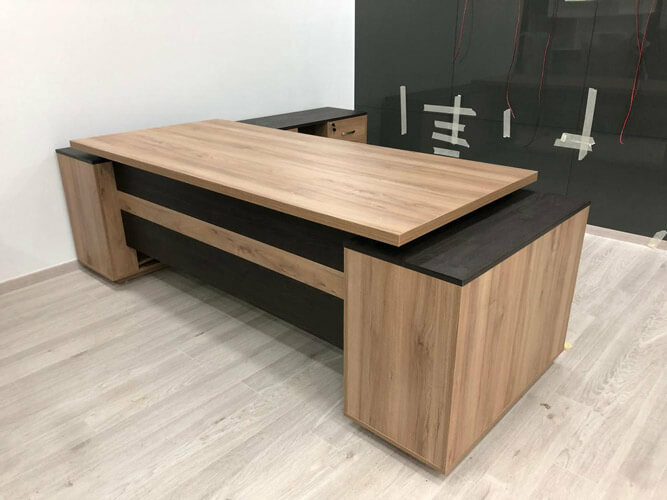 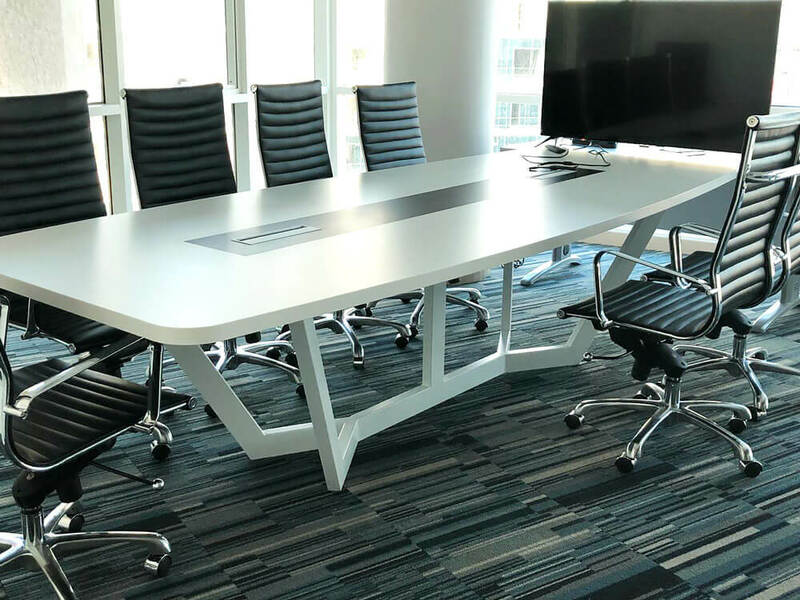 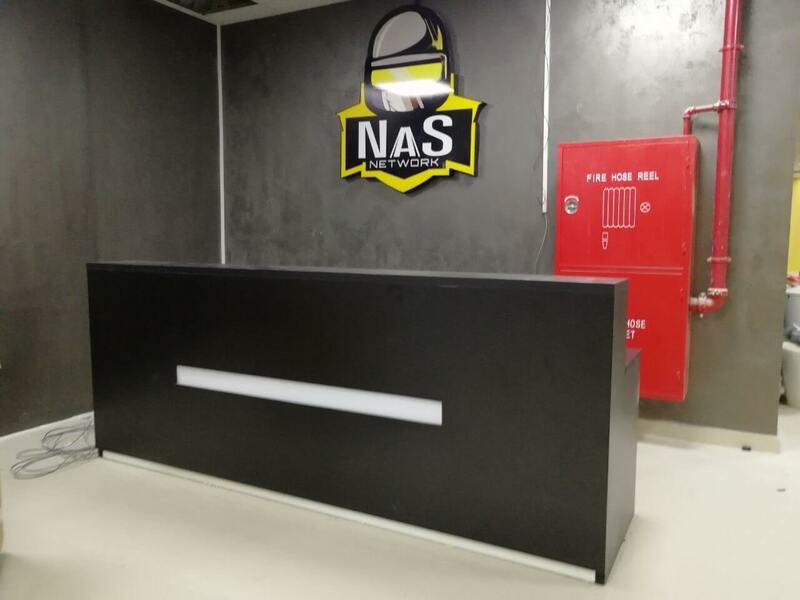 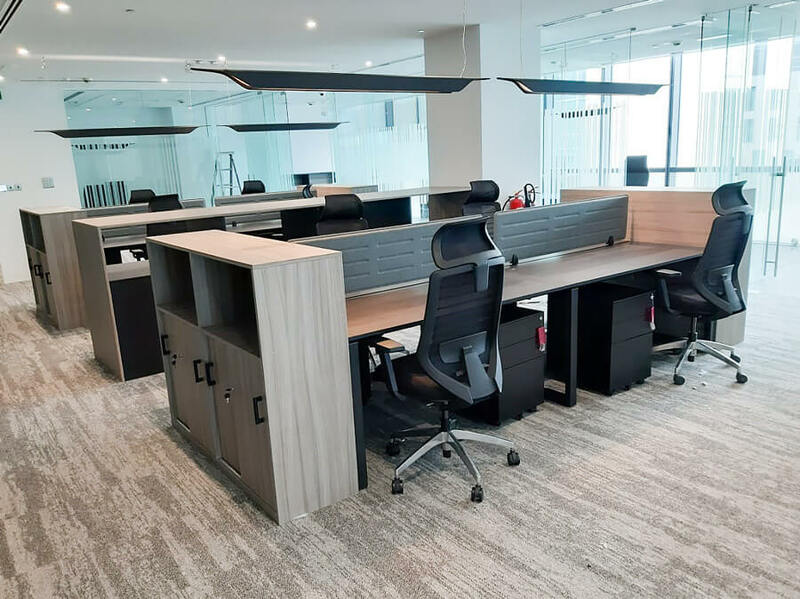 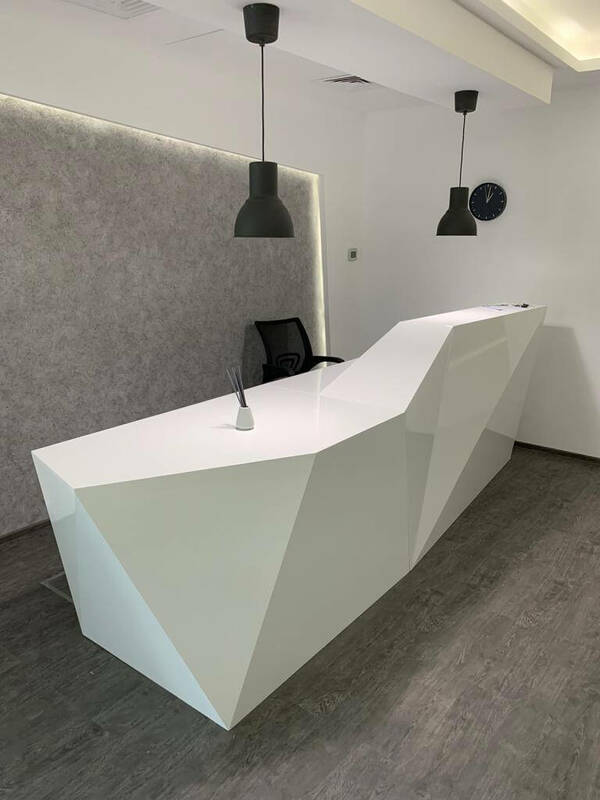 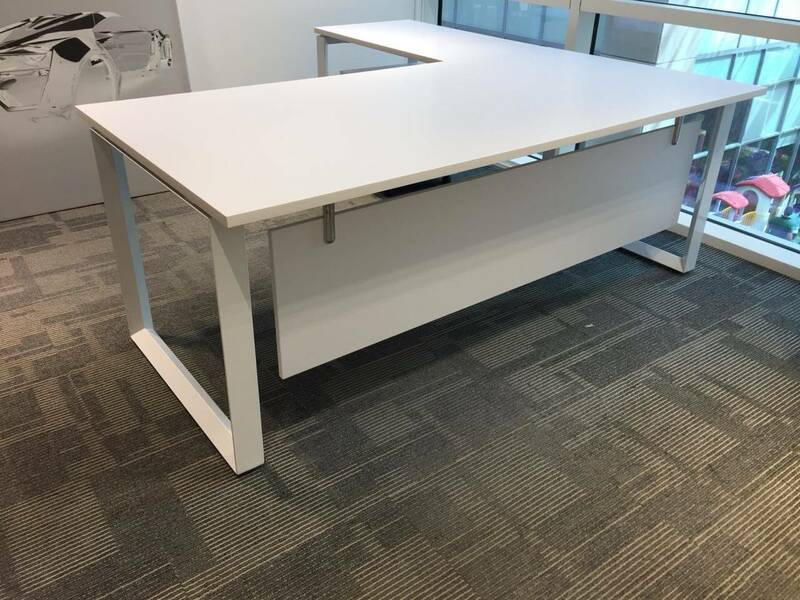 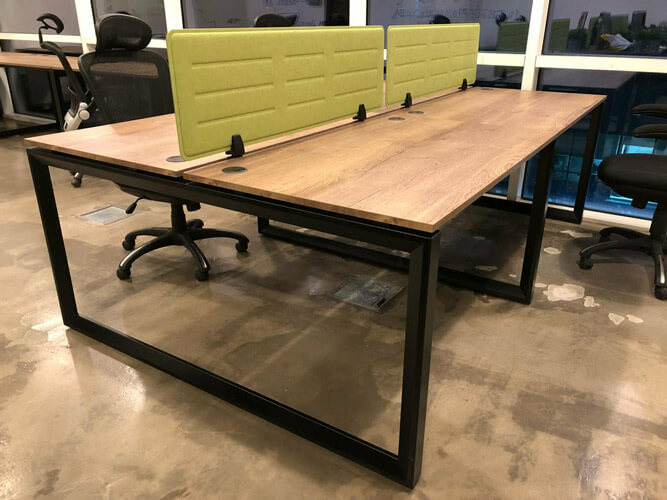 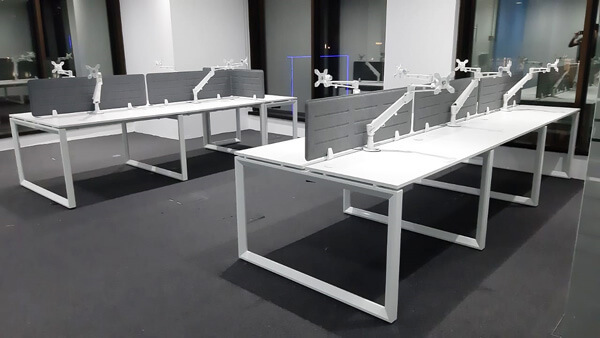 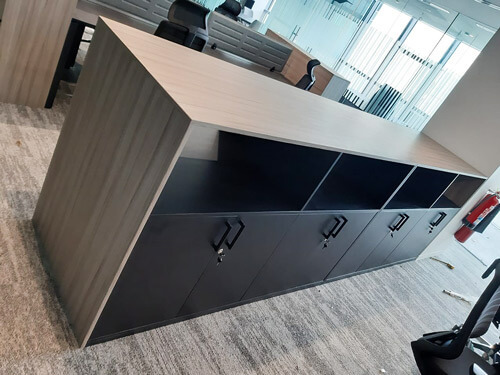 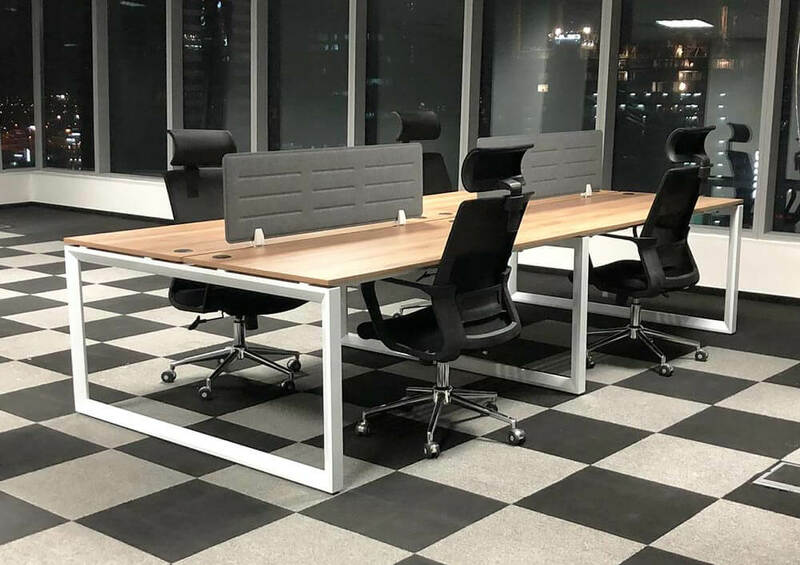 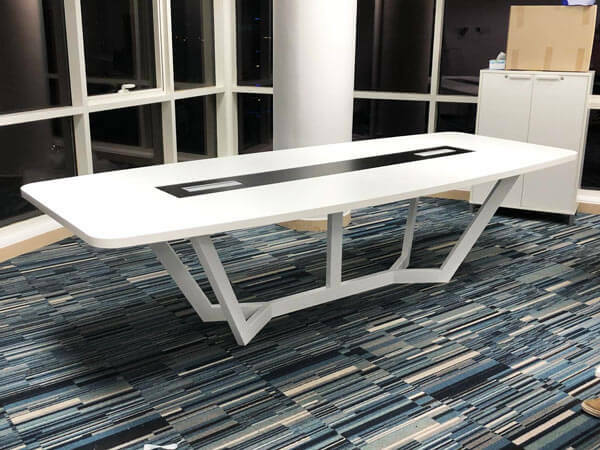 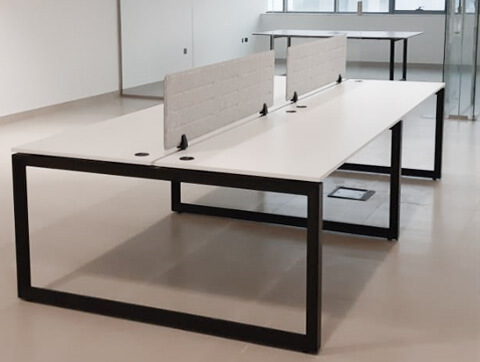 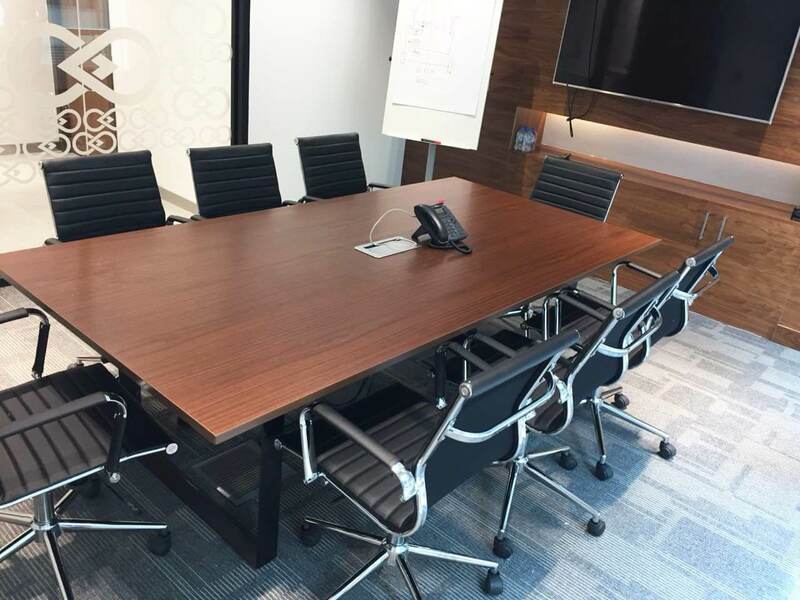 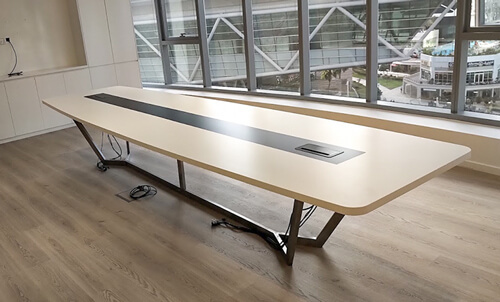 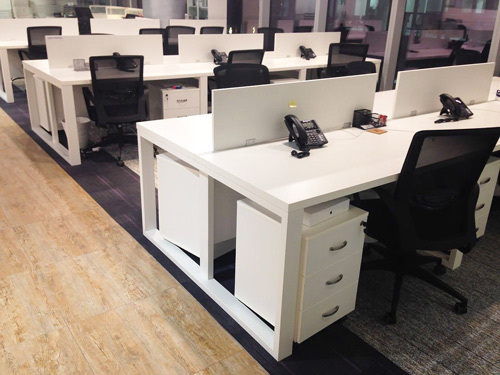 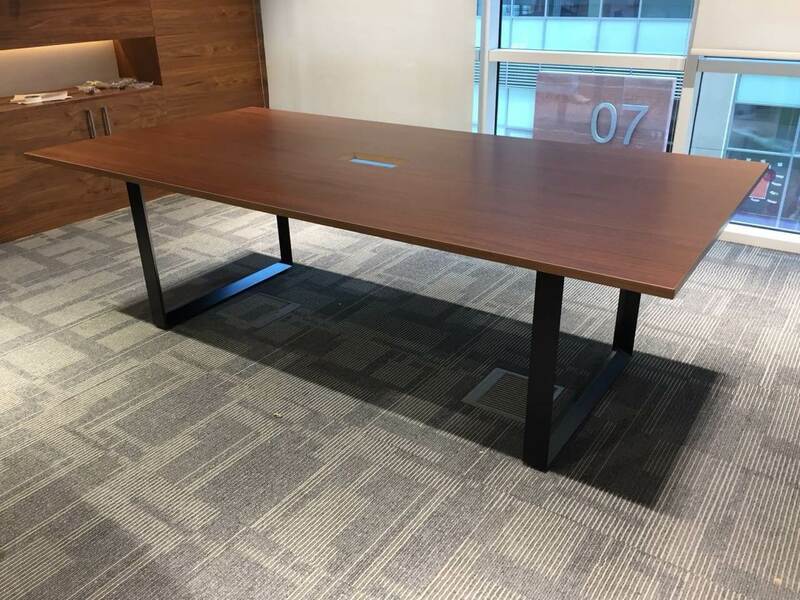 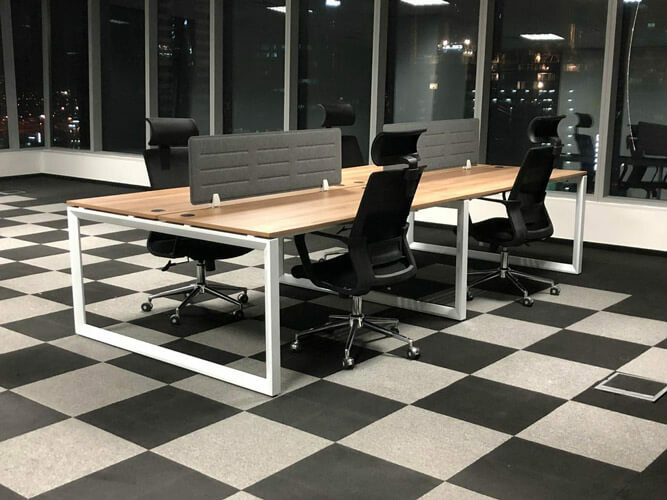 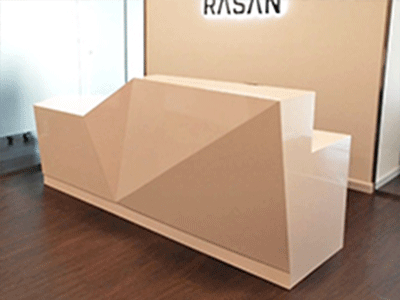 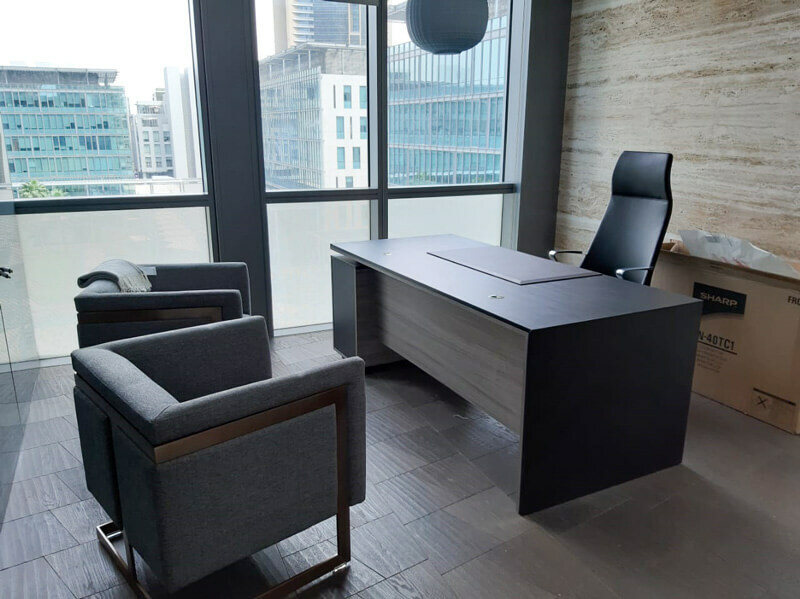 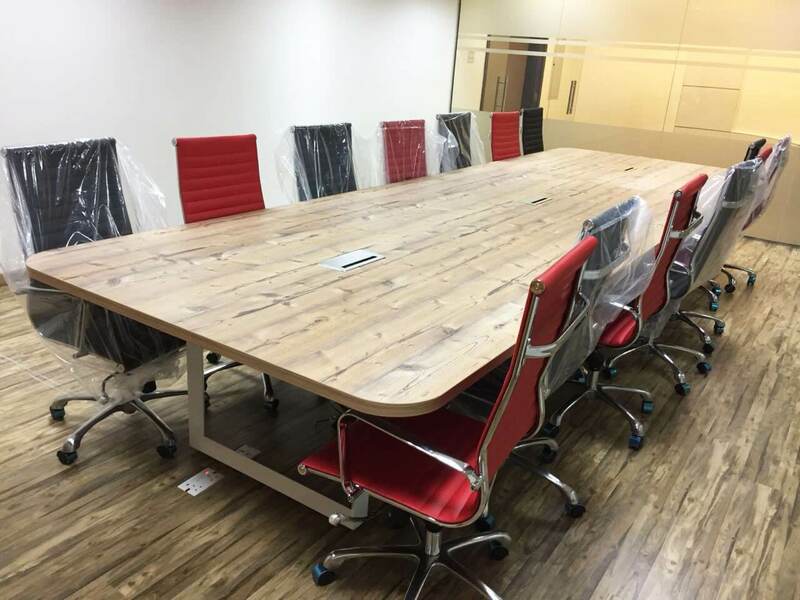 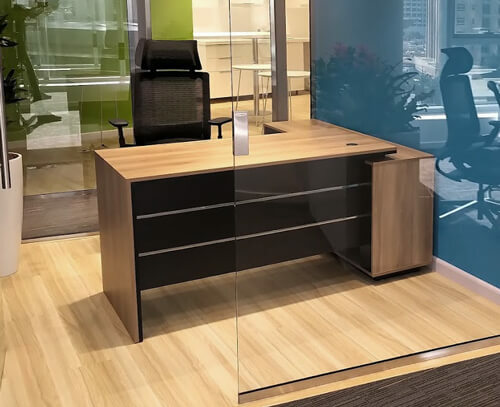 Custom-painted Ace workstation frames in Black color, acoustic gray screen panels, table top finish and drawers finished by Egger natural pacific walnut color. 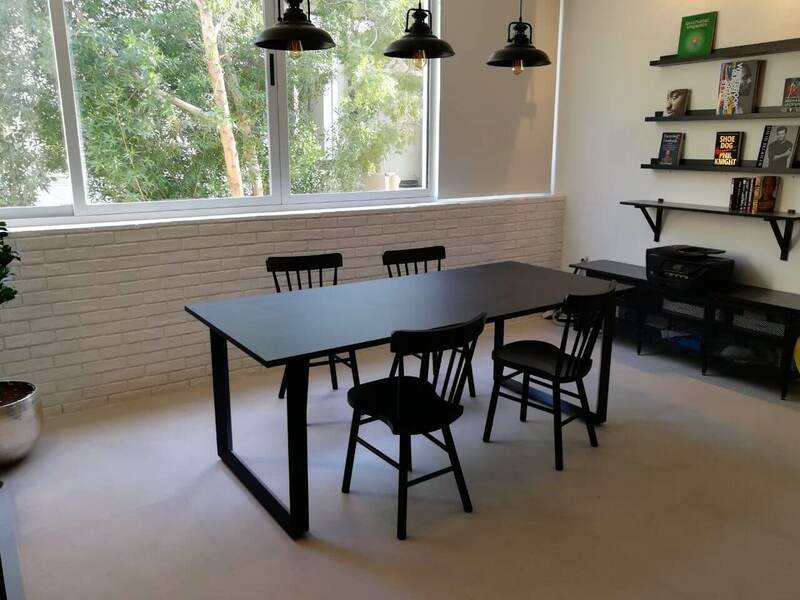 plus custom made dining table and chairs. 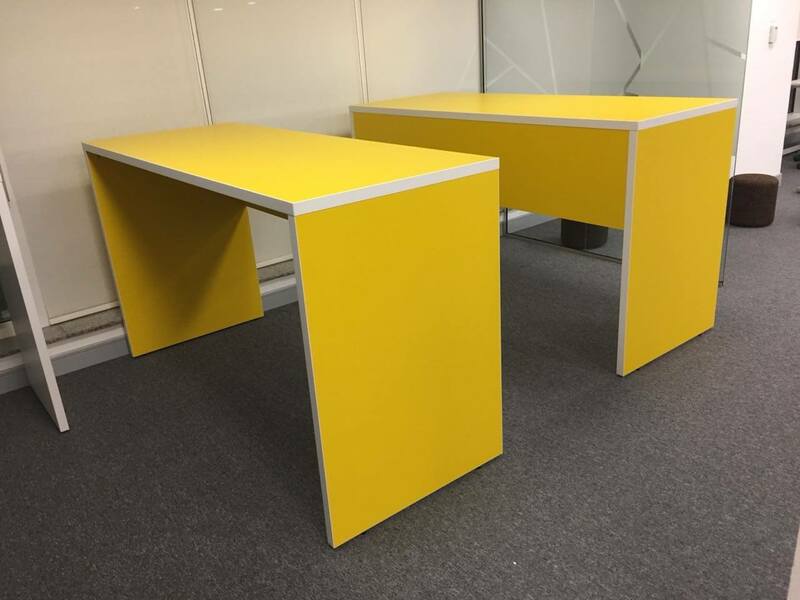 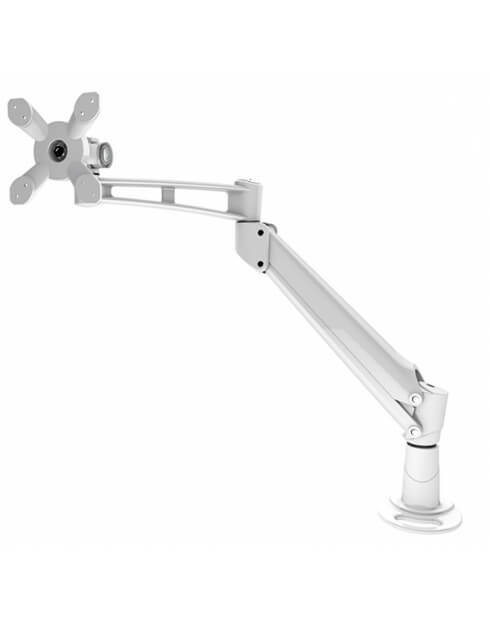 Ace series and Cuadro series cluster of 6x workstations, yellow fabric screen panels with aluminum frames. 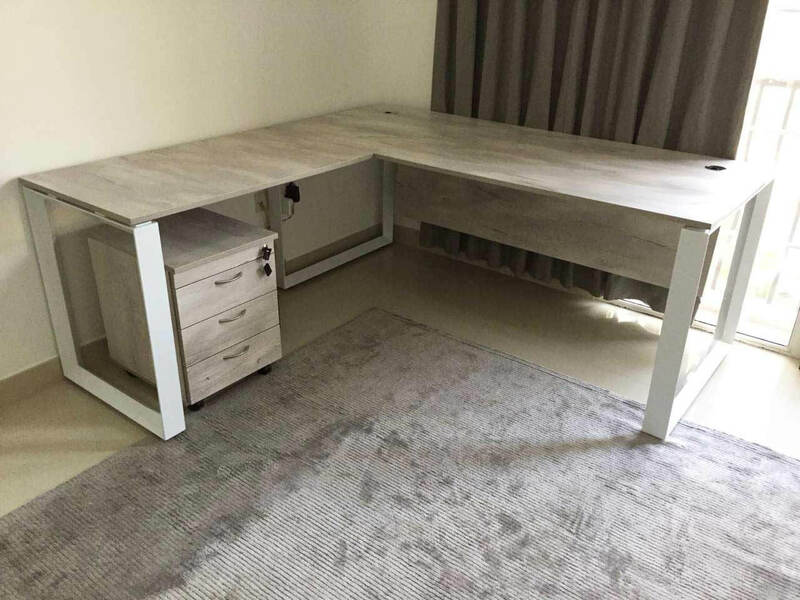 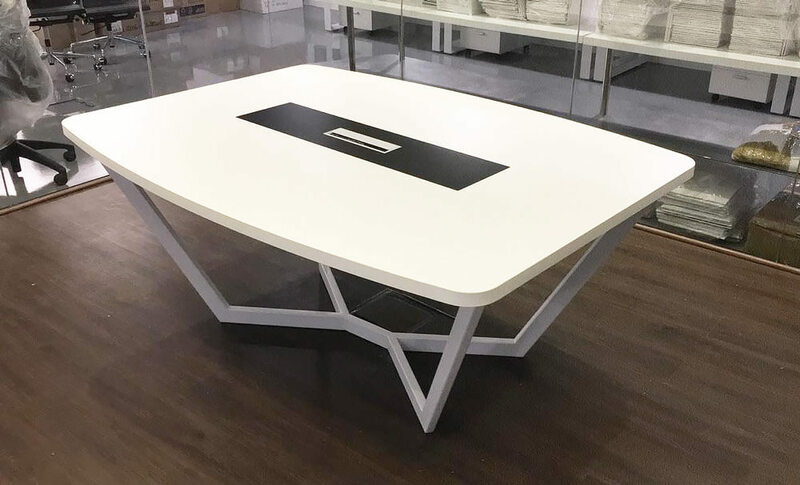 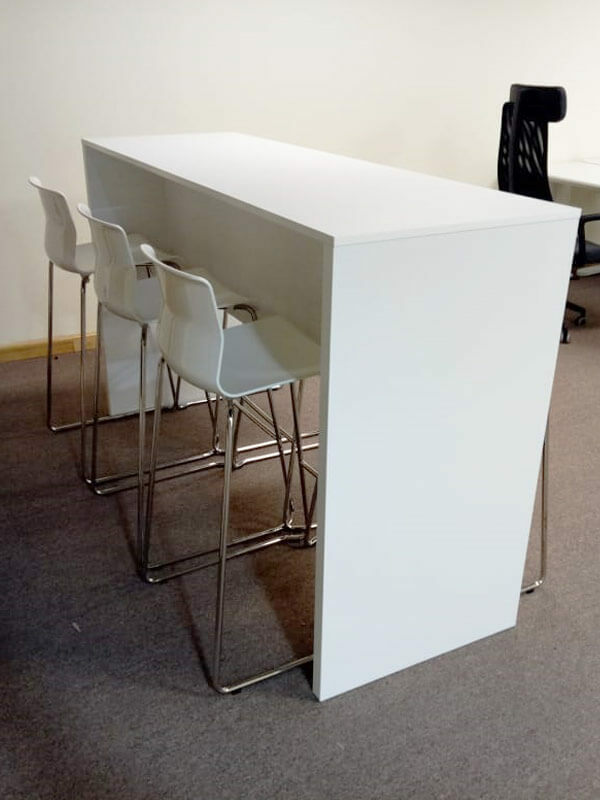 Basic white frames, table tops and drawers. 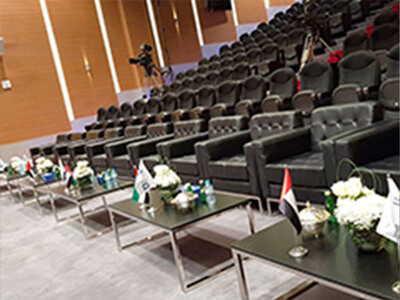 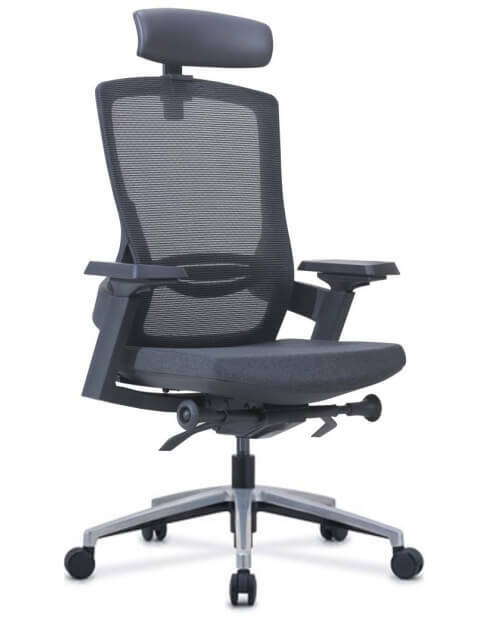 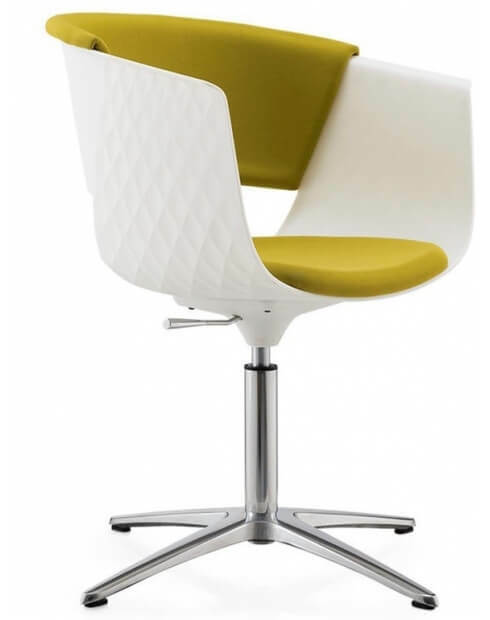 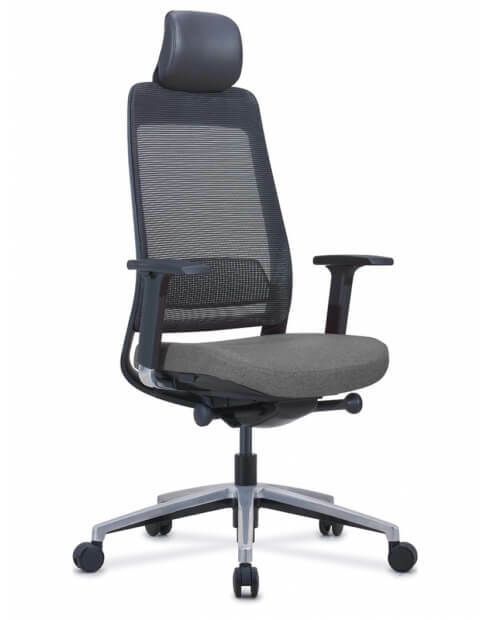 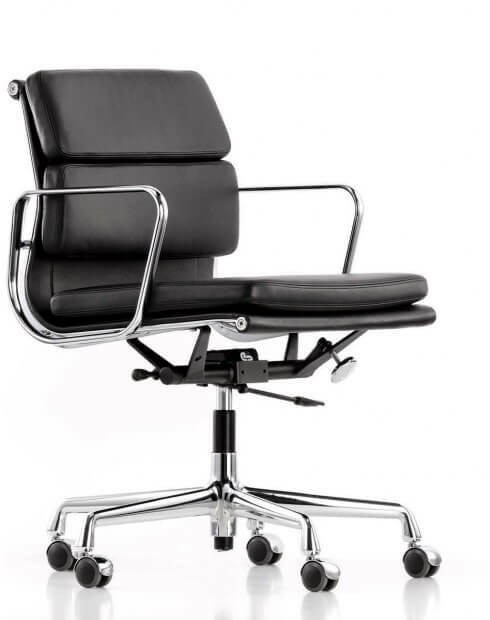 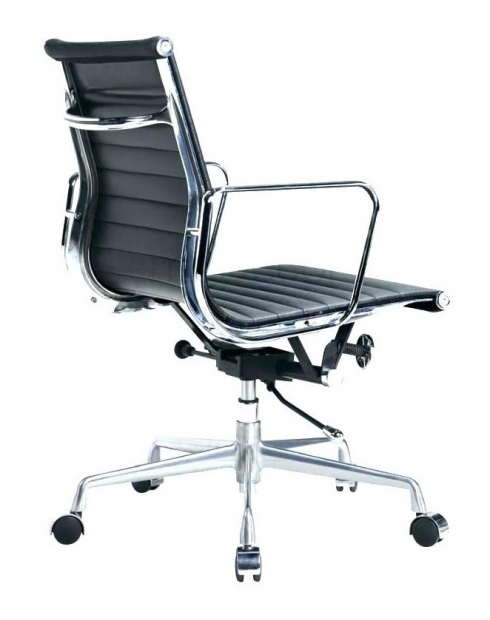 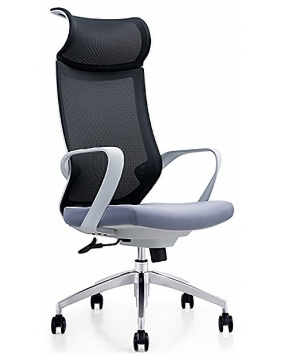 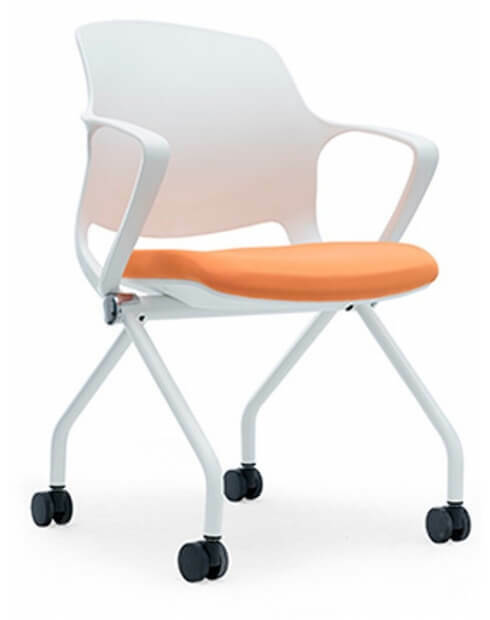 with Salsa Executive chairs.